What Would An X-Files Revival Be About? As you may have heard, we might be due for an X-Files revival pretty soon. It's not a sure thing, but based on reports, all of the relevant parties — stars Gillian Anderson and David Duchovny, plus creator Chris Carter — are interested in returning, if not for a full season, then an "event" similar to the very successful 24 miniseries that ran last year. But what would an X-Files revival be about, exactly? The general consensus is that the last stretch of the conspiracy arc, dealing with the post-Syndicate "Super Soldiers," effectively ran the show off the rails; the unsuccessful 2008 movie sequel, I Want To Believe, barely touched on the colonization storyline and the events of the series finale. At this point in time, the date given for the alien apocalypse — 2012 — has come and gone. Mulder and Scully are no longer with the FBI. And many of the show's most interesting supporting characters, such as the Cigarette-Smoking Man, Krycek, and the Lone Gunmen, are long dead, having been killed off in the final season. It seems like the show's biggest problem is the "dead weight" continuity from the end of its run circa 2000-02, when Duchovny left and viewership dropped precipitously. Most viewers have probably forgotten that Mulder and Scully have a son, who'd now be about 16, or that neither of them are still with the Bureau. Or all those dead supporting cast members, or the storylines involving the Greys, the black oil, the bees, 2012, etc. And let's not forget that Millennium took place in the same universe... or maybe we should. So would the new show, which would presumably be a direct continuation of the 1993-2002 show, even address the colonization story arc, or would it be an extended "Monster of the Week" serial? (After all, this approach didn't work too well for the second movie.) Would it be a Walking Dead-like post-apocalyptic show, assuming that the viral apocalypse decimated the world in 2012, with Killer Greys hunting down the surviving humans and Mulder and Scully organizing the survivors into a resistance, Terminator-style? 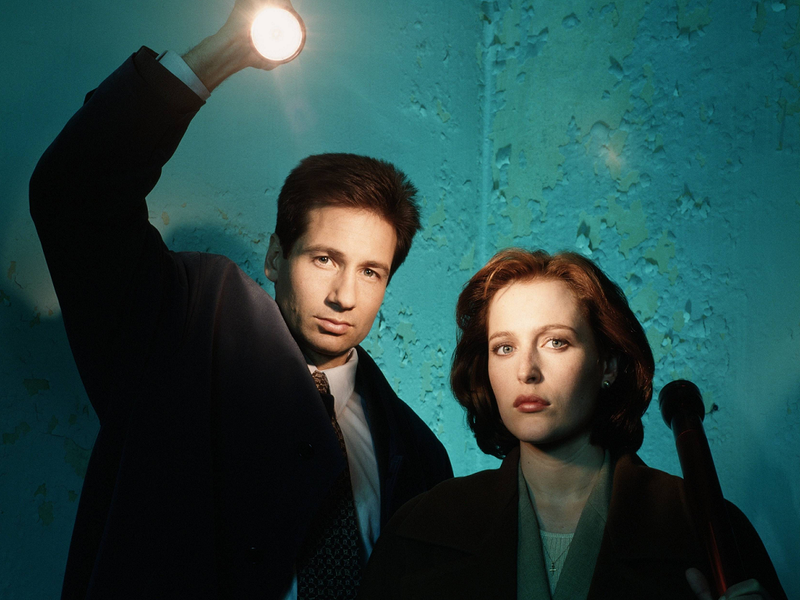 Or would it be a soft reboot, with Mulder and Scully back at the FBI as if it were still Season Seven, with the idea being that they'd spent the last fifteen years or so chasing evil scarecrows, serial killer Wi-Fi ghosts, and hipster cannibals, with no kids, aliens, or conspirators to bother with? Would it be a backdoor pilot for yet another weird procedural, with newer, younger leads waiting in the wings? Will Doggett, Reyes, or Frank Black be involved? Will they all end up with Dale Cooper and Laura Palmer in the White Lodge? I dunno. What would you like to see (or not)? Or would you rather just see a third year of The Fall instead? EDIT: Several ODeckers have pointed out that Mulder's fugitive status was revoked after the events of I Want to Believe, a movie I barely remember. Oh, and that 24 miniseries was last year, as several helpful persons have pointed out.